G’day there whisky fans. Today we have a delicious treat from those good people at Wemyss Malts. As with the other Wemyss whiskies in this edition we had to get a little creative with the label to get around the TTB shenanigans. Nectar Grove is of course how Wemyss labelled this dram however we had to use Garden Grove on the basis of not actually adding any nectar to the whisky (don’t know where to get nectar from anyway). 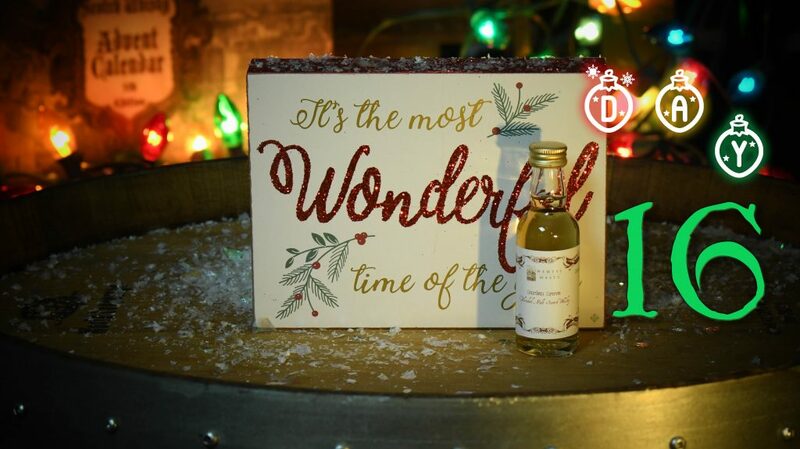 We do of course sell our calendar in the UK, EU, Canada and even remote places like my once home country of Australia but we make all our labelling TTB approved for sale in the US as they have the most “interesting” labelling requirements in the world. Wemyss Malts Nectar Grove is a limited edition of 9000 bottles. Taken from only 2 Highland distilleries and then re-racked into Madeira casks for 9 months. This is Wemyss first “finished” whisky and gives us an opportunity to taste this ever growing and popular category of Scotch Whisky. Madeira is a fortified wine made on the Portuguese islands of Madiera. Rich and delicious Madiera is generally a dessert accompanyment or perhaps dessert all on its own. Going through an interesting heating process during production it is a very unique style of wine not made anywhere else in the world. Colour: Seems to have picked up an orange hue from the Madiera cask. Almost looks like Grand Marnier. Nose: Goo Gone – that fantastic orange oil product that you use to remove sticky labels from jars. A touch of my wife’s Einkorn Flour Sourdough freshly baked. Some fuzzy peach skin and some toasted macadamia. Palate: Much bigger explosion of that nectar on the palate. Grilled orange and red grapefruit halves complete with the burnt caramelized sugars. The peach fuzz has turned to full blown juicy ripe flesh and dripping juices. Finish: Turns towards red currants and blueberries sauteed in a dash of port. There is no doubt about the influence of the Madiera cask on this one. With the initial refill Bourbon being very gentle the Madiera has climbed in and had it’s way with these two Highland distilleries. For me the Nectar Grove is better on the palate than the nose but once I added a tiny drop of water the nose did get rocking a lot more. Thanks to Wemyss Malts for providing 3 very interesting blended malts for this 5th edition. Until next year when I’m sure there will be something creative and delicious around the corner. Let’s hope that we can sort out the TTB so that we can actually label these whiskies as they were intended. On this day in the 4th edition we had the Lost Distillery Company Lossit Classic. Whisky Vault, Scotch Test Dummies…. Just Do It!! Tomorrow we are off North to Speyside for another Single Cask of Secret Spirits Goodness. Looking forward to your company on the morrow. Caol Ila, workhorse of the Islay underworld. Pumping out more Smoky, Peaty, Islay goodness than all the rest of the Islay distilleries combined by quite some margin. 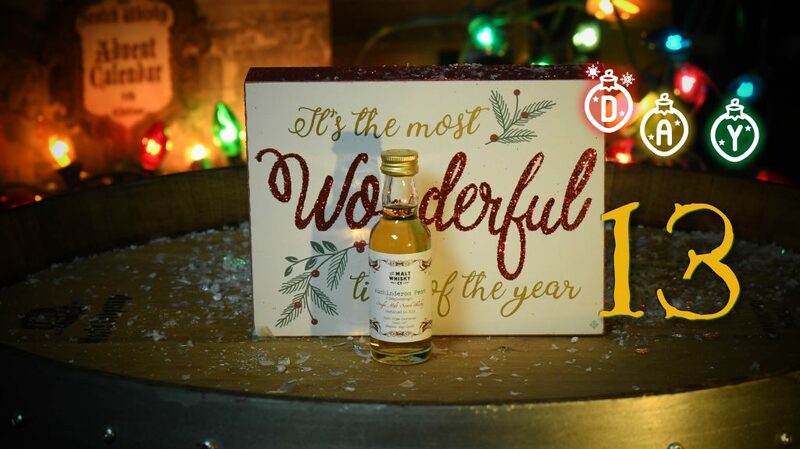 As you already noted on day 5 we actually did a cask of Caol Ila in the 4th edition but were unable to fill any full size bottles for the peaty faithful. This year is a different story and we have managed to get a bit more of the sister cask. These limited bottles will be released along with most of the other Secret Spirits whiskies from the 5th edition in the first quarter of 2019. Stay tuned for the pre-order information. 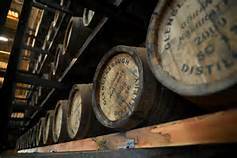 Caol Ila is owned by industry giant Diageo and makes up the backbone of their peaty needs for the Johnnie Walker range. 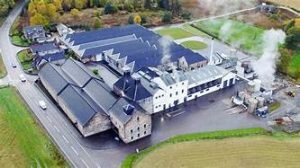 Founded in 1846 it has changed hands many times and seen some closures including during the second World War when due to barley shortages most distilleries ceased operations. Must have been a tough time for whisky lovers in the mid 50’s when all of those whiskies would have been around 10 years old and hitting the market. 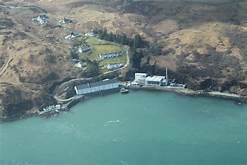 Caol Ila is taken from the Gaelic Caol Ìle for “sound of Islay” refering to the location of the distillery overlooking the strait between Islay and Jura. Colour: Pinot Gris sparkle gold. Nose: Certainly does not smell like Pinot Gris as that classic Islay heavily peated salt, earth and fire leap out of the glass. For me the smokiness is much more subdued than the peat note. Could it be that there is a wee Scottish flower poking up from the bog? Palate: Peated Vanilla cookies and Cavendish pipe tobacco. Im my minds eye I’m standing right in the middle of a large Islay farm paddock complete with heavy hoof prints, upturned earth and mud puddles. The rain is just about to hit and the sky is dark and brooding. Scurrying into the farmers house just as the heavens unleash I find myself sipping this dram by the fire and absolutely loving the Islay experience. Finish: Very long with a lemon essence that surprisingly jumps in at the end. Certainly on the slightly sweeter side of Caol Ila but there is no mistaking the huge use of peat to malt this barley. Delicious trip to Islay and I hope that has made you peat only peat please hurt me with peat guys happy enough to visit the mainland a few more times. On this day in the 4th edition we had another smoky expression with the Wemyss Malts Peat Chimney Batch Strength. I know that Daniel in particular loves younger Islay so it will be interesting to see how this one fares over at the Whiskey Vault. Scotch Test Dummies are not afraid of peat either so will no doubt relish this little trip to Islay. Tomorrow we are back on the mainland with a delicious malt from the team at Wemyss. Until then may the finish linger long into the night….. Welcome back to another day of whisky adventuring. What a great day to introduce a new distillery to our calendar mix. 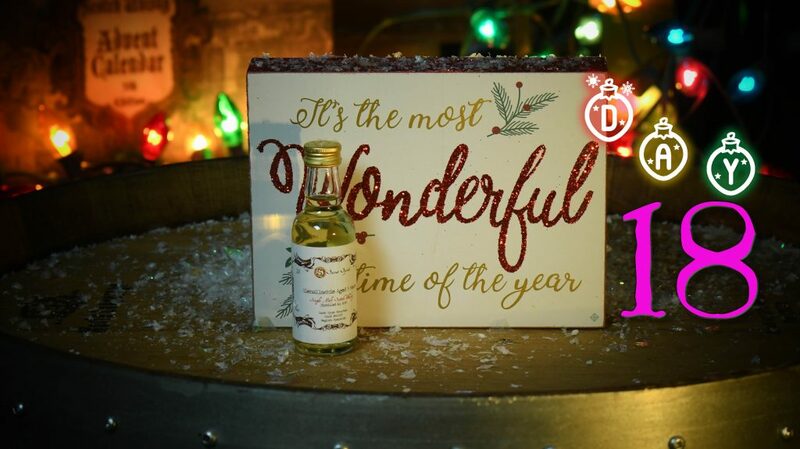 Knockdhu is a Highland Distillery located in the town of Knock Banffshire right on Speyside’s doorstep. Founded in 1893 by John Morrison after he purchased the land from the Duke of Fife. It had a short closure in 1931 during the depression and again during the second world war from 1940 to 1945. Closed again in 1983 like so many distilleries were in the 80’s it was sold to Inver House in 1988 with production resuming the following year. In 1993 the bottled whisky was changed to anCnoc to avoid confusion with Knockando. anCnoc in Gaelic simply means “the hill”. Very varely ever seen bottled using the name of the distillery rather than their new branding. A.D. Rattray as you know by now are one of my favorite independent bottlers and Mr Tim Morrison was kind enough to be my Seconder for the Keepers of the Quaich nomination for which I am extremely grateful. 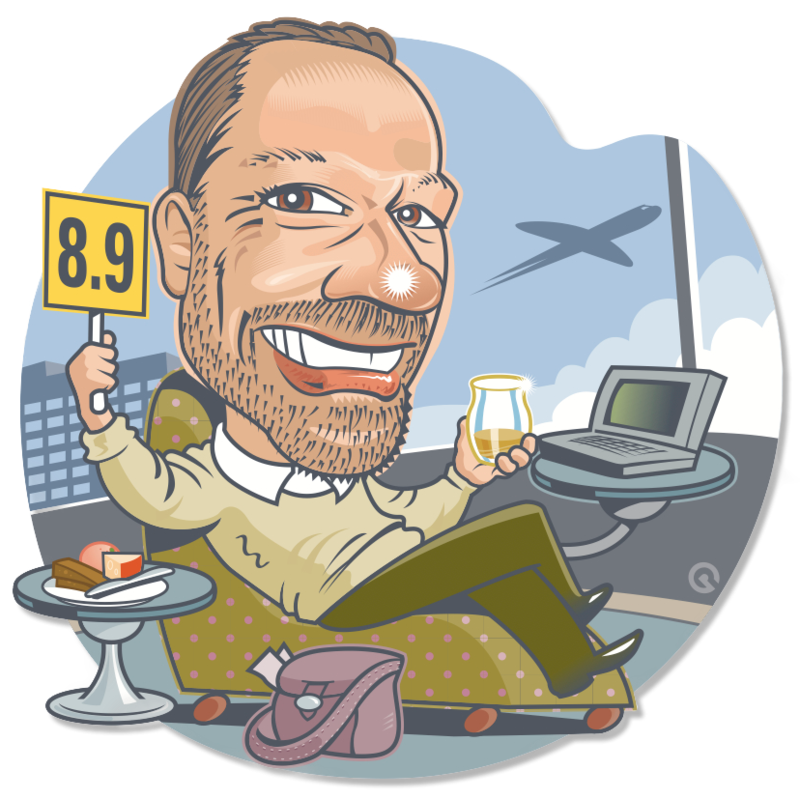 Tim is a gentleman in every respect and has championed the Scotch Whisky industry for his entire working life. Their new distillery Clydeside is gorgeous and will I’m sure become a beacon of amazing whisky and tourism in the heart of Glasgow. Colour: Super light pale gold and makes me think that the cask is a refill although at only 9 years it could have just been lightly toasted. Nose: Alrighty then. I was really hoping to find this profile as it struck me when I first tasted this cask back in March. Candy Cane peppermint and licorice. Red glazed salted granny smith toffee apple. Palate: The minty character comes through nicely and takes me back to those extremely politically incorrect cigarette candies I purchased from the school tuck shop. They were a white softish slightly minty vanilla candy with a glazed red sugar tip. I can still see us all standing around pretending to smoke these little candies. Loads of countries have banned them but they are still available in many forms. There is also rich toffee and that little salty element from the nose but it takes a back seat. Finish: The toffee apple works but to me now seems more caramel. The high alcohol really kicks this whisky into a lingering tingle that tails off into a slightly peppery climax. 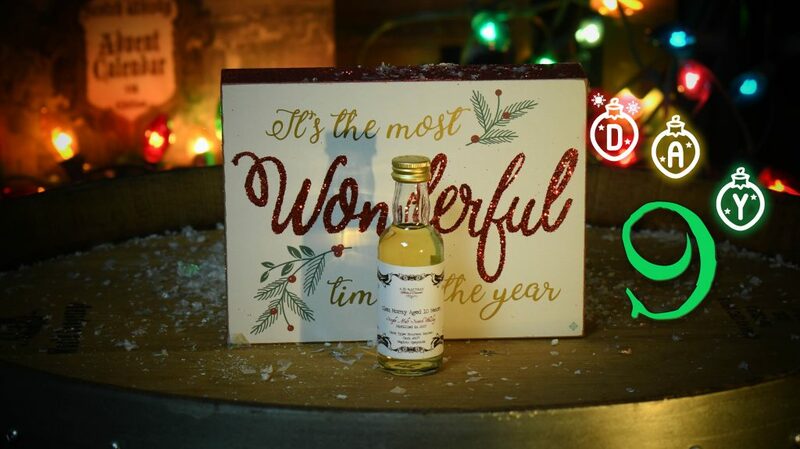 Really enjoyed this dram especially as a holiday minty candy cane treat. This would be a great start of the evening drink to get the tastebuds ready for heavier more full flavoured fare. On this day back in the 4th edition we had the A.D. Rattray Glen Elgin 21 Year Old. Back to Youtube for some more shenanigans with the boys at the Whiskey Vault and Scotch Test Dummies. Tomorrow we head to Islay for some more dark side action from non other than Secret Spirits. “I am altering the deal…pray I don’t alter it any further”. Very excited about todays whisky. Mythical unicorns don’t appear very often and this is indeed a very rare treat. Certainly knowing the gentleman behind this dram was the key to having this offered up to make your adventure extra special. Stuart Nickerson who I am very thankful to say was the amazingly generous chap that nominated me for induction into the Keepers of the Quaich. Whisky has flowed in his family for a long time and just this past week his daughter Jennifer received the Icons of Whisky Irish Whiskey Brand Ambassador of the year award. A big congratulations to Jennifer and to Stuart for such an amazing whisky legacy. So onto the dram itself. Glenglassaugh has had a very long and challenging history founded in 1875 by James Moir and his two nephews. 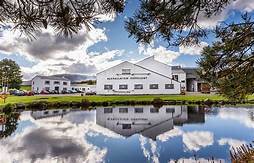 Located right near Glenglassaugh Springs the distillery had an exceptional water source that had previously allowed illicit distilling to be conducted to great acclaim. 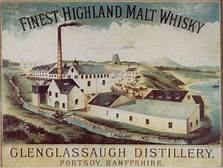 After James death in 1892 the distillery was sold to Highland Distillers a subsidiary of the Edrington group. It was rebuilt in 1960 but unfortunately closed in 1986 with a downturn in the Scotch industry. In 2008 Glenglassaugh was sold to the Sceant group by Edrington and Stuart Nickerson who was their whisky consultant elect was instrumental in not only finding Glenglassaugh as an option but also brokering the deal. 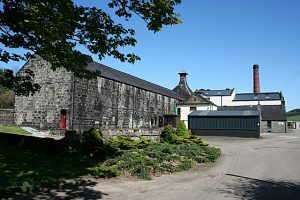 With a considerable amount of money needed to refurbish the distillery and one of the warehouses Stuart was able to utilize a small parcel of older Glenglassaugh that had been distilled before the closure. I was lucky enough to be the representative for Glenglassaugh in Canada and can vouch for the incredible 20, 30 and 40+ year old whiskies that were part of the rebuilding of the brand. 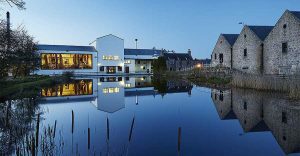 Stuart did so well that the distillery was sold in 2013 well ahead of schedule to the Walker family, owners of Benriach and Glendronach. 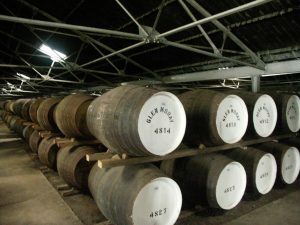 Within a few years Benriach, Glendronach and Glenglassaugh were subsequently sold to industry powerhouse Brown Foreman. Once production started Stuart was canny enough to lay down some casks for himself and so we have today in front of us a whisky that was distilled, casked, aged and bottled by the same man. I tried some of the early peated new make that Stuart had distilled many years ago. While chatting in his lounge earlier this year he mentioned this cask and jumped at the chance (actually may have jumped off my seat). Several editions ago we had the Portsoy Sauterne Cask. One of the most delicious Sauterne casked whiskies that I have tried to date and only around 7 years of age. Colour: Lovely deep gold. No doubt the Sauterne Cask is at work here. Smaller barrel size than a Bourbon Cask so more wood to whisky ratio imparting a lot more. Nose: No mistaking that this whisky lives with peat. Large and in charge is a big hit of glorious seaside. Like stepping out onto the beach and taking a big deep breath of sweet fresh salty air. Glenglassaugh is right on the coast so this is not unexpected. I find myself taking a long time over this nose to try and get some of the Sauterne cask influence. That sweet freshness could be it and does hold the promise of luscious things to come on the palate. Palate: Wow ok the dense vegetal peat character is right at the door asking me to shake the sand off my shoes and come in. That medicinal note that a lot of people relate to coastal Islay is lining the walls of this old school drawing room. As I sink down into my deep backed leather chair I can almost picture the old tobacco swirling in the air, an old leather bound book in my hand and a century old persian rug beneath my feet. Through it all though there is a lovely little sweetness that is completely unopposing but may be the most beautiful part of the whole experience. Finish: I just had to try this with a dash of water. The sweetness on the nose headed towards dark marmalade balsamic reduction. The dainty little petit four that I loved at cask strength has blossomed into a full blown over cooked ginger cookie. In the best way possible. The finish just carries on and the lingering effect is the Briny Highland Peat holding steady as it sails to the horizon. With all of this going on it feels like a much, much older whisky than 7 years. Sauterne casks seem to equal much more rapid aging characteristics in Scotland. 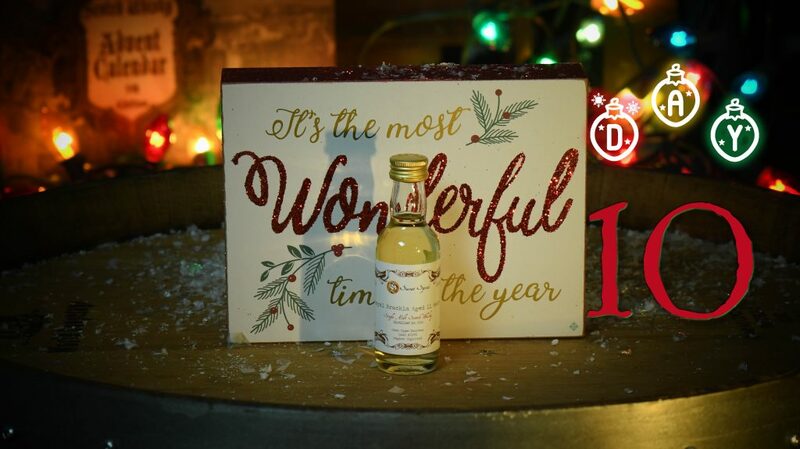 On this day in the 4th edition we had another fine dram put together by Stuart Nickerson. The Shetland Reel Batch No. 3 Blended Malt was a cracker. Please remember to head over to the Whiskey Vault and Scotch Test Dummies. I am literally chafing at the bit to see what they thought of todays dram. I would think today’s dram will be a big winner but as I say all the time everyone has their own palate and there are no right and wrong preferences. We are now just over half way through the calendar and it is worth mentioning what we have had so far. 5 Speyside Distilleries, 4 Highland Distilleries one of which was heavily peated, 1 Islay and 3 blended malts. Barrels have included Refill Sherry, 1st fill Sherry and both Refill and 1st fill Bourbon and a Sauterne cask. We have had 9 different distillery single casks 2 of which were teaspooned. We have done a distillery comparison and both casks while having some similarities were very different animals. As we head into the back end of the calendar we will go to even more new places and see some much older drams. Stay tuned whisky fans and always try to keep a childlike eagerness and delight in learning more about this amazing drink. Tomorrow we have another distillery making a first appearance in our calendars. Coming from that amazing independent bottler A.D. Rattray. I hope you all enjoyed a history lesson with the Auchnagie on day 3. Today we get to travel back to Fife and look into a distillery that stood for almost 100 years. Owned by 3 generations of the Bonthrone family Stratheden officially operated from 1829 to 1926 although there was evidence that illicit distilling was practiced well before that. What is most fascinating for me as I read through the very indepth and detailed history of the distillery is the account of world affairs during world war 1 and the influence of prohibition in the US on distillery closures in Scotland. You all owe it to yourselves to head over to the Lost Distillery Company website and have a good read about Stratheden. Far more detailed research and material than I can post here. 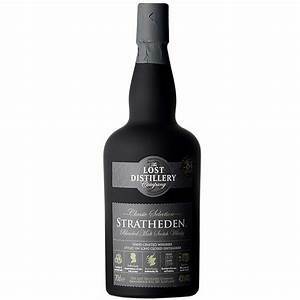 Lost Distillery Company Stratheden Classic Blended Malt – 43% alcohol – no caramel or chill filtration. Colour: Light Gold. My understanding is that this blended malt is a combination of Bourbon Casks. Nose: Peat influence here but subtle with a layer of under the house crawl space. You know that slightly dark and earthy wet character. Back when Stratheden was around they were using peat to malt their barley much like all distilleries at that time. Coming over the top of this though as you look up into the light from your hiding place under the porch I get almost a Cognac influenced brulee torched orange rind. Palate: The under the porch themes tail away more on the palate with the slightly bitter orange peel and a touch of dark high cocoa chocolate. This is a fairly delicate dram that I actually had to sip at for a while to get everything out of. Interesting that this is the Classic range which is the most affordable but will reward more experienced whisky drinkers that take their time with it. Finish: At 43% the finish is not long but still leaves that lovely little bitter edge lingering. Do the guys at the Whiskey Vault and Scotch Test Dummies dig whisky history geeking? Make sure you check it out. 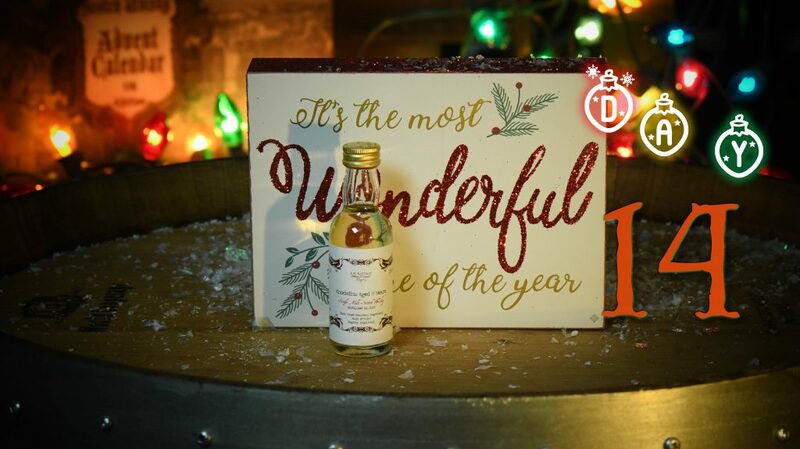 Day 12 of our 4th edition Scotch Whisky Advent Calendar was one of our own casks. The Secret Spirits Speyside 19 Year Old undisclosed Single Malt. I do know that there has been some excellent controversy created by the faithfull Tribers of the Whiskey Vault. So far we have spent most of our time exploring the Highlands and Speyside. There have however been a lot of different distilleries, cask types, ages and alcohol volumes. Even within the same region distilleries use different shaped stills, different sources of barley, different cask programs and different water sources. What we have hopefully shown is that every single cask has its own story to tell. It just takes a pause from this in your face busy world we live in to sit for a while and just listen. Tomorrow we are in for an absolute treat as we delve into something extremely rare from Stuart Nickerson of the Malt Whisky Company. I promise that tomorrow’s whisky is going to blow your minds. Well hello again calendar junkies. Today we have another one of those American TTB label challenges. 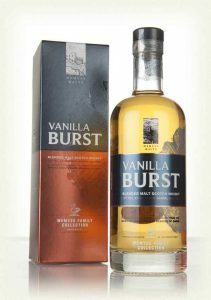 This whisky from Wemyss Malts is actually called Vanilla Burst but we could not put vanilla on the label so instead we chose Delicious Burst. Hope that no one is as confused as I am. Vanilla is delicious right? Wemyss has been fighting this battle with the TTB for over a decade and still have not really gotten anywhere. It is surprising to me that the Scotch Malt Whisky Society seems to be able to get their bottles into the US as every label is even more apt to include all sorts of non-whisky flavors than Wemyss. Hopefully sanity will prevail and at some point the Wemyss line of delicious single casks will be available in the US market. Looking back at some of the past calendars you can read about whiskies like Aromatic Orange Tobacco and Applewood Bake. We will certainly continue to feature Wemyss Malts in the future and I am hoping that we dont have to water down their great labels. This limited edition of only 4800 bottles is made up of Single Malts from 2 Speyside distilleries. All the 14 casks used were 1st fill ex bourbon American oak barrels. Vanilla is certainly a flavor profile that a lot of people pick up on with American Oak. Lets see how true to the name this whisky is. We have generally included at least one of Wemyss Malts limited edition blended malts in each edition as they have all been stellar. Some of you may remember with mouth watering fondness an outstanding Wemyss Malts blended malt whisky from our 2nd edition, the very impressive Velvet Fig. Colour: Nice rich golden 1st fill Bourbon colour. Nose: There certainly is a big hit of fresh vanilla bean, creme brulee, fudge and an earthy grassy undercurrent. I thought there might actually be even more vanilla but am pleased to see some other characters vying for my attention. Palate: Nice mouth coating spread of flavor and the vanilla dies down a touch compared to the nose. More cask infuence coming through now with some touches of white pepper and that fresh hay and mown grass cuts through the middle. This is a very easy going dram and as the name implies is meant to showcase the use of American oak with lighter speyside spirit. Finish: Vanilla fades as the cask takes over a bit leaving a dry citrus note hanging on. Remember to TRIBE and DUMMY today and see what those guys think about this little blended malt. On this day in our 4th edition we had the Samaroli Islay 2017 edition. For those peat heads that are already starting to pine for more in this 5th edition hold tight help is on the way soon. Tomorrow we are taking a second step back in time with the boys at Lost Distilleries. Looking forward to getting my geek on again.